THE socialist movement in India found one of its most eminent forebears in Shreedhar Mahadev Joshi or S M Joshi. Born in Junnar, Pune district on November 12, 19O4. A well-known social worker, chairman of Praja Socialist Party (PSP) and Samyukta Socialist Party (PSP) and a founder member of Janata Party. He was a popular student in the New English School , Poona. His political longings were aroused when he took part in the Gujarat festivals and Tilak processions. His academic career was exceptionally brilliant. He made an underlying reputation as a speaker. He bagged many prizes in the Fergusson College in oratorical contests. He contributed many articles of high literary excellence to the "Kiloskar". Joshi got involved with the Independence movement when he was a student at Fergusson college in 1924. In 1930 he participated in the Civil Disobedience Movement and was sentenced to one years rigorous imprisonment. After his release he was again arrested and imprisoned for two years. He was charged with sedition for his speech on "Roy's Day" and sentenced sacrifices entitled him to the high esteem of the people. 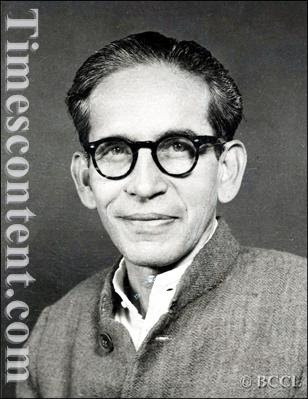 Joshi was instrumental in the formation of the Congress Socialist Party in 1934, the Rashtra Seva Dal, and actively participated in Jayaprakash Narayan’s total revolution movement. In 1935 he was the Secretary of the Maharastra Youth Conference presided over by Swami Sampurnand. With tireless zeal he worked for the success of the Faizpur Congress Convention. He is now the Secretary of the Mass-Contact Committee. Mr. S.M.Joshi is a Congress Socialist and is on the All-India Congress Socialist Party. Even his opponents have acknowledged that he is the most useful and devoted volunteer. Be it uniting political parties in Maharashtra during the Samyukta Maharsahtra Samiti that fought for a unilingual state, creating worker unions in Pune, participating in Dalit movements or setting up the Mandal commission, Joshi was actively involved in it all. He was elected to the State Assembly in 1957 defeating Baburao Sanas. In 1967, Joshi won the Pune Lok Sabha seat. He passed away in 1989.